Life's a Beach! Sea You There! Life's A Beach, Sea You There! 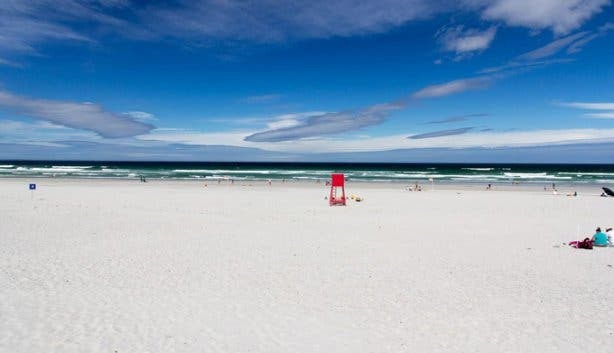 We have compiled a few great beaches to visit with family and friends where you can cool off while enjoying some sun. 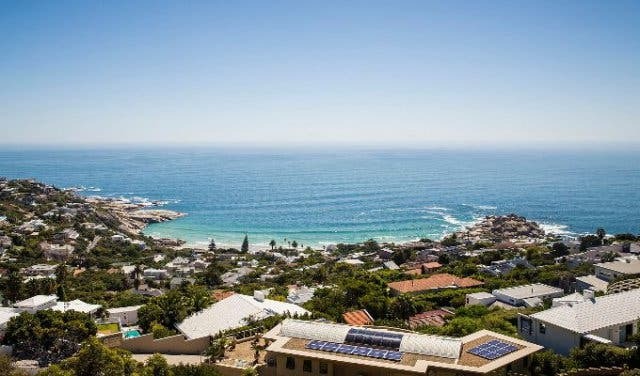 Popular for sunbathing, this picturesque cove is a Blue Flag beach at the foot of one of the city's most affluent suburbs. Llandudno Surf Lifesaving Club provides a voluntary service every day during Blue Flag season (1 December to 31 March). Dogs may run free at all other times except between 9am and 6pm from November until March. People consider this beach the birthplace of surfing in South Africa. According to legend, a visiting Australian showed the locals how to ride the waves around 1910. Soon after, surfers and swimmers began colliding, which necessitated a separate area demarcated for surfers. And thus, what was formerly known as Neptune’s Corner became Surfer’s Corner. It’s still a great place to learn to surf and there are multiple surf schools catering to all ages and levels. The successful Sharkspotting initiative started here in October 2004 and has since expanded to other beaches. 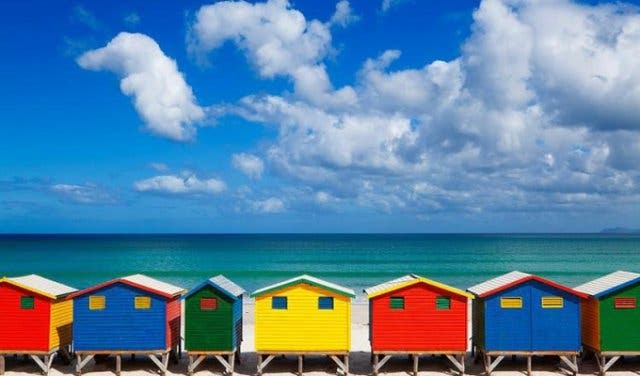 Sunrise Beach is home to the False Bay Lifesaving Club, which provides volunteer lifesaving services in peak periods and offers a training ground for young ‘nippers’. It’s also a favourite spot for kitesurfers to take advantage of the strong southeasterly winds. This part of Muizenberg is also home to the popular Muizenberg flea market, which is busiest on Sundays. 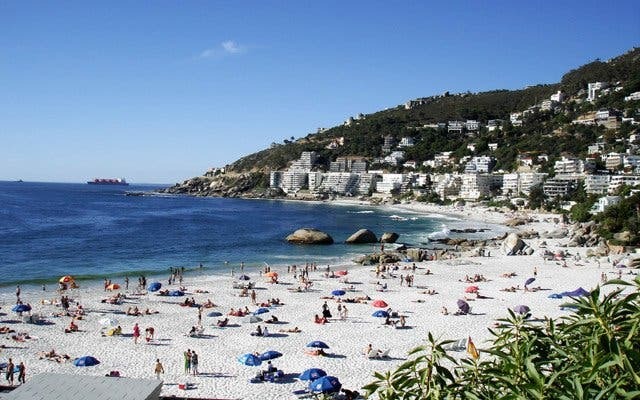 Bikini Beach is situated in the small coastal town of Gordon's Bay at the foot of the Hottentot's Holland mountain range. It supposedly got its name from the female students at the nearby Stellenbosch University who frequent the beach in bikinis. 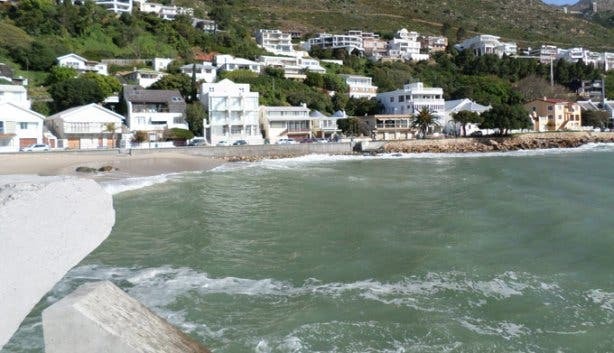 The beach is tucked up against the Gordon's Bay harbour wall and is sheltered from the summer southerly winds. It’s especially popular among the young and young-at-heart for sunbathing, swimming and socialising. Surfers ride the left-hand break off the harbour wall. It’s a sandy Blue Flag beach that offers warm water and lifeguards during the Blue Flag season (December to March). There are parking facilities and restaurants within a short walk from the beach. Windmill Beach is tucked behind the golf course at Froggy Pond in Simon's Town. It’s surrounded by large granite outcrops that serve as a windbreak. A rocky point separates two gullies into which the white sandy beach slopes gently. Here the water is calm, flat and clear, offering safe paddling and swimming for children and good snorkelling further out. People consider this beach safe for swimming, but it’s best to only swim where and when a lifeguard is on duty. It is often used as a scuba diving training site as it offers accessible entry and exit points, good visibility of the kelp forest’s underwater life and minimal currents. You can see sea-kayakers paddling through on their way from or to Simon’s Town. 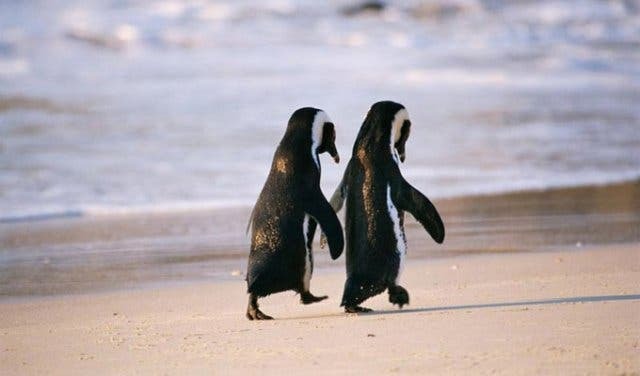 Dogs are allowed to run free on the sand, but must be on a leash on the pathways to the beach. 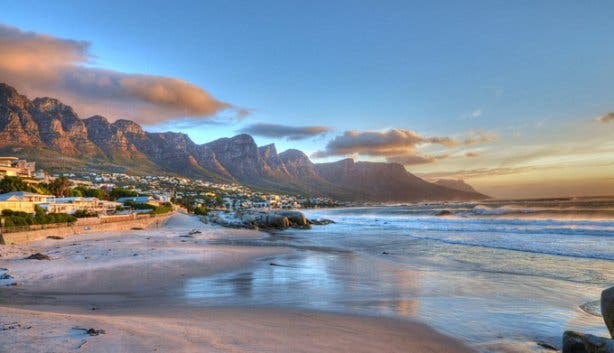 Beta Beach is a small and quiet beach with magnificent views of Lion’s Head and the Twelve Apostles. The beach is flanked by large boulders and is sheltered from the wind, making it ideal for sunbathing and swimming. Divers and anglers love Miller’s Point because it’s the main boat-launching spot on the southern side of the False Bay coast. Further from the northern slipway is the Black Marlin seafood restaurant and Miller’s Point caravan park. This marine-protected area offers abundant sea life making it popular for scuba diving and fishing. 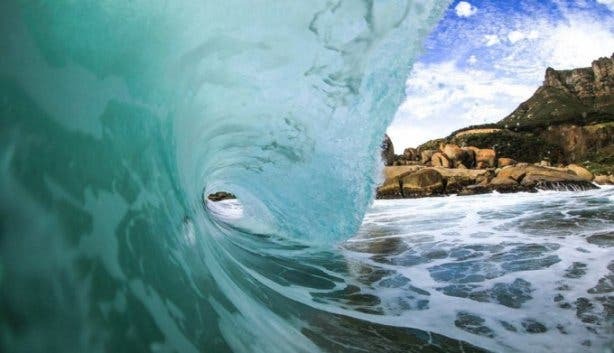 While sea-kayakers generally opt for calm conditions, surfskiers prefer the howling southeasters for the ‘Miller’s Run’, riding the swells to Fish Hoek. Scarborough Beach and its surrounds are particularly scenic with towering mountains and the vast ocean. There are rock pools to explore and the waves beckon surfers to test them. When swimming, be cautious due to the occasional rip current just off the beach. The spacious beach is rarely over-crowded, it’s good for walks, kite-flying, and playing ball sports. 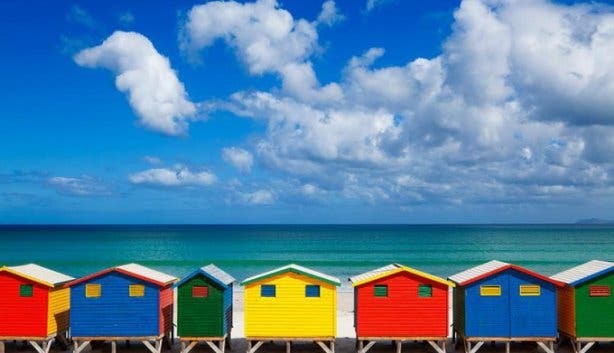 This is the ultimate family beach, with its colourful Victorian bathing boxes adding bold hues to the beachscape. 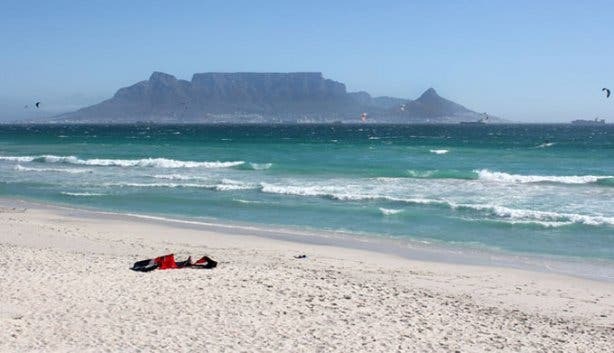 It’s also a Blue Flag Beach, meaning it gets top marks for safety, recreational facilities and eco-consciousness. 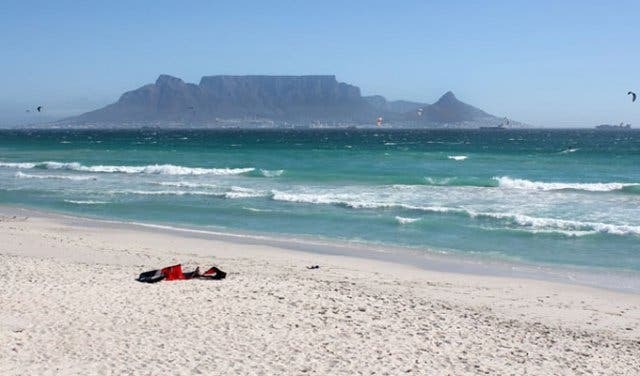 Bloubergstrand is just 20 minutes’ drive from Cape Town and is one of the world’s most popular kitesurfing destinations, also offering surfing, windsurfing and other sports. There are amazing views across the Atlantic Ocean to Table Mountain standing proudly in the horizon. 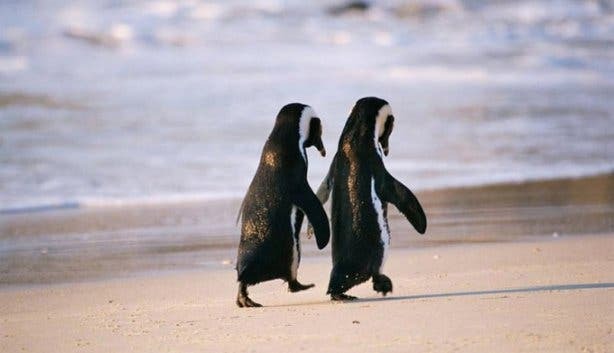 Here, you can get up close to a colony of African Penguins who love to waddle around and swim at the beach. Boardwalks lead you across the beaches to a SANParks information centre to learn more about the conservation of these pelagic birds. 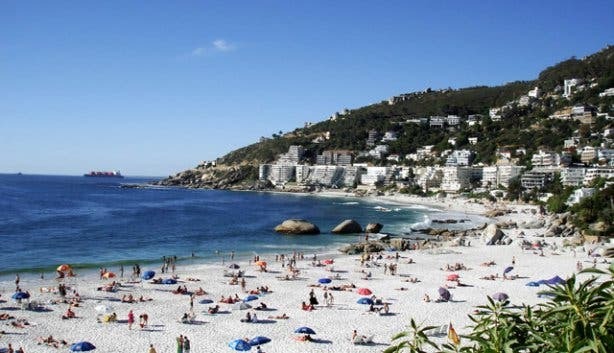 Camps Bay Beach is where visitors and locals come to see and be seen. Cool off in the waves or head to the natural tidal pool for a swim. 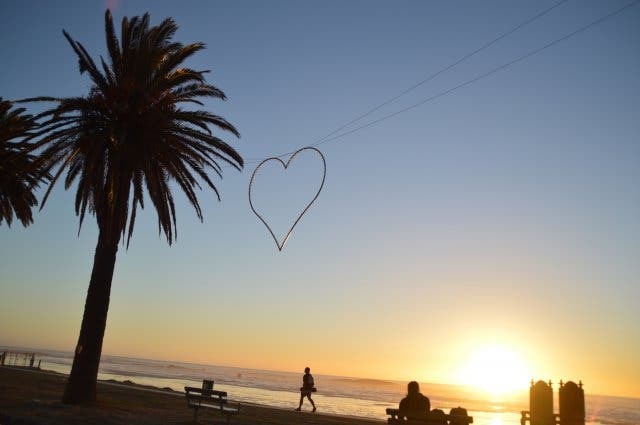 There are many stylish sundowner venues overlooking the bay on the Camps Bay Strip, which offers bars, shops and restaurants. Offering white sands, blue waters and majestic mountain views, the four Clifton beaches attract sun-lovers from all corners of the globe for tanning, beach sports, people-watching and relaxing. Long Beach is a favourite for bodyboarders and surfers, and so, the main parking area is named Surf Way. 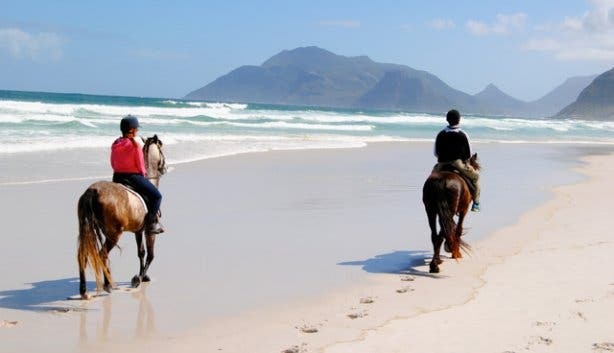 When the southeasters batters the False Bay coast, the beach is relatively sheltered from the wind and it’s a popular place for a leisurely walk. Kids will be begging you to take them to the Diary of a Wimpy Kid author experience with Jeff Kinney. Plus: Discover (and swim for free at) these special and hidden tidal pools in Cape Town. Consider yourself a yogi? Head to this free yoga class. Learn to kitesurf at some of the best spots in Cape Town, from Bloubergstrand to Langebaan, with High Five kitesurf school. 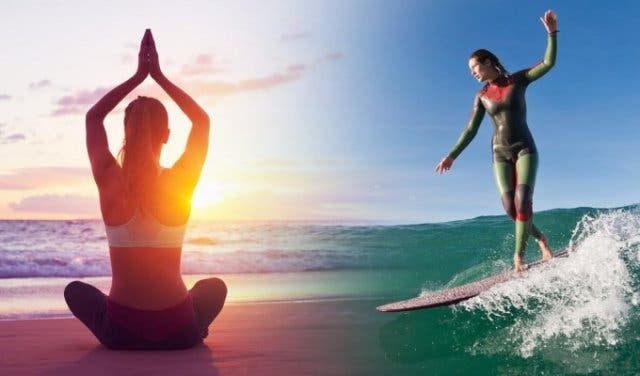 AND: combine surfing with yoga at Cape Town's closest backpackers to the beach, African Soul Surfer in Muizenberg. Tackle a beach run (with your dog) and watch the sunset on the city at the Plastic Free Oceans Beach Run Series.